Para instrucciones en español para solicitar una nueva fecha de audiencia, dale click al buton abajo. * Please note: Safari is not supported. Please choose another browser to access our online pay/appeal system. If you believe that your parking citation was issued in error, you have the right to appeal it. Parking citations may be appealed for a variety of reasons. Parking citations cannot be appealed on the grounds that the registered owner is unable to pay, or on the grounds that you believe that the parking regulation in question is unfair. If, after reviewing the information in the list above, you wish to appeal your citation, you (or someone on your behalf) may appear before the Hearing Officer on your scheduled hearing date, which is printed on the front of your parking citation, between 9:00 am and 3:00 pm at the City of Hartford Citation Hearing Office, 11 Asylum Street, 2nd floor, Hartford, CT 06103. What happens at a Hearing to appeal my parking citation? 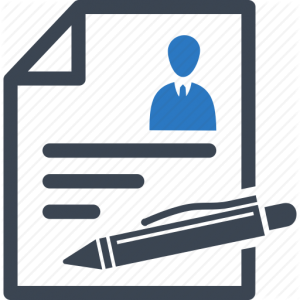 At the Hearing, you will be asked to complete a Statement of Responsibility, which informs you of your legal rights. If the citation is overturned, you will be sent a Granted Letter outlining any fines and fees you are responsible to pay. If the citation is not overturned, you will be sent a Denial Letter outlining all fines and fees you are responsible to pay. If you wish to appeal the decision of the Hearing Office, you must file a claim in person with the Civil Clerk of the State of Connecticut Superior Court along with a $90 filing fee within thirty (30) days of the mailing date of the Denial Letter. If you do not appeal the decision of the Hearing Officer within the specified thirty (30) day timeframe, a Judgment will be entered for the City of Hartford and against you for all fines and fees you are responsible to pay. Hearing Officers are attorneys that are hired by the City’s Corporation Counsel’s Office. Since HPA is responsible for enforcement, HPA employees are strictly prohibited from any hearings and/or making any decision related to an appeal of a parking citation. What happens if I ignore a parking citation? It could get more expensive for you! If a parking citation is not paid, additional collection fees may apply. If a Judgment is entered against you, your wages and property are also subject to attachment. The Pay-and-Display Station wasn’t working. Where can I report it? Please call the Office of Parking Management at (860) 202-8072, please have the kiosk # number to report that the Pay-and-Display Station that did not work for you and request that a maintenance technician come out and test the kiosk. If you wish to appeal a parking citation you received because you could not obtain a Pay-and-Display receipt, you (or someone on your behalf) may appear before the Hearing Officer on your scheduled hearing date, which is printed on the front of your parking citation, between 9:00 am and 3:00 pm at the City of Hartford Citation Hearing Office, 11 Asylum Street, 2nd floor, Hartford, CT 06103. The sign was faded, illegible, or missing. Where can I report it? Please call 311 to file a report. If you wish to appeal your citation, you (or someone on your behalf) may appear before the Hearing Officer on your scheduled hearing date, which is printed on the front of your parking citation, between 9:00 am and 3:00 pm at the City of Hartford Citation Hearing Office, 11 Asylum Street, 2nd floor, Hartford, CT 06103. I received an overdue notice. If you receive an overdue payment notice for a citation that you do not believe was issued to your vehicle, you (or someone on your behalf) may appear before the Hearing Officer on your scheduled hearing date, which is printed on the front of your parking citation, between 9:00 am and 3:00 pm at the City of Hartford Citation Hearing Office, 11 Asylum Street, 2nd floor, Hartford, CT 06103. I received a citation for a car I sold. A DMV registration from the state the vehicle is registered in. Copy of your registration stamped “plate cancelled” from the DMV from the state the vehicle is registered in. A letter (or equivalent) from the DMV from the state the vehicle is registered in, showing the new owner. A letter (or equivalent) on DMV letterhead that is signed by a DMV official stating that your plates have been cancelled. If the required documents have been lost or destroyed, you may appear before the Hearing Officer. If you wish to appeal your citation, you (or someone on your behalf) may appear before the Hearing Officer on your scheduled hearing date, which it printed on the front of your parking citation, between 9:00 am and 3:00 pm at the City of Hartford Citation Hearing Office, 11 Asylum Street, 2nd floor, Hartford, CT 06103. My vehicle or license plate was lost or stolen when the citation was issued. You may appeal a citation issued while your vehicle or plate is missing if the citation was issued after it was reported lost or stolen and before it is found. Please obtain a copy of the police department’s stolen vehicle or plate theft report for the Citation Hearing Office. The police report must include the date and time the incident occurred, recovery date (if the vehicle or license plate was recovered) and the police officer’s signature. If the stolen vehicle or plate theft report does not indicate the recovery date, you must also submit a copy of the impound lot release slip which indicates the release date to you. If your vehicle has not been recovered, you must obtain a letter from your insurance company indicating that a claim to cancel your insurance has been submitted. If you do not have a copy of the police report because you live outside the Greater Hartford metropolitan area, you may submit a copy of either a proof of cancellation receipt or proof of obtaining replacement plates (old and new vehicle registrations) from the Department of Motor Vehicles (DMV) or a letter on DMV letterhead (or equivalent) that is signed by a DMV official from the State the vehicle is registered in that indicates that your plates have been cancelled. We will compare the State of Connecticut DMV identification number (VIN #) and vehicle description on the citation with those registered to the plates. We will release your responsibility for any citation on which the VIN # and vehicle description do not match those on record. If they do match, the citation is valid and payment is due. If you wish to appeal your citation, you (or someone on your behalf) may appear before the Hearing Officer on your scheduled hearing date, which is printed on the front of your parking citation, between 9:00 am and 3:00 pm at the City of Hartford Citation Hearing Office, 11 Asylum Street, 2nd floor, Hartford, CT 06103. The registered owner is deceased. If you received a citation for a vehicle registered to someone who is deceased, please send or bring a copy of the citation, a brief letter of explanation, a copy of the death certificate, and a copy of the vehicle registration or title to the City of Hartford Citation Hearing Office, 11 Asylum Street, 2nd floor, Hartford, CT 06103. You will receive a letter outlining our findings, and whether or not the citation is still valid. If the citation was issued before the date of death, the citation will be dismissed by the Hearing Officer. If the citation was issued after the date of death, the citation is valid and must be paid by the operator or new registered owner. I received a citation. However, I was not parked at the location listed on the citation. If there has been an obvious error, the citation will be dismissed by the Hearing Officer. If we cannot find an error on the citation and you wish to appeal it, you (or someone on your behalf) may appear before the Hearing Officer on your scheduled hearing date, which is printed on the front of your parking citation, between 9:00 am and 3:00 pm at the City of Hartford Citation Hearing Office, 11 Asylum Street, 2nd floor, Hartford, CT 06103. Why did I get a citation? I am disabled. The State of Connecticut Department of Motor Vehicles (DMV) issues wheel chair symbol placards and hangtags. The expiration month and year appear at the bottom of the hangtag or placard below the wheel chair symbol. To reduce abuse of accessible parking spaces as of September 1, 2017, HPA no longer allows free on-street disabled metered parking. If you believe you were cited in error you may appear before the Hearing Officer on your scheduled hearing date, which is printed on the front of your parking citation, between 9:00 am and 3:00 pm at the City of Hartford Citation Hearing Office, 11 Asylum Street, 2nd floor, Hartford, CT 06103. Please bring your identifying wheel chair symbol placard or hangtag, personal identification and vehicle registration with you. To avoid any additional fees, you must resolve the matter on or prior to date of your Hearing. Possession of a wheel chair symbol placard or hangtag does not exempt you from compliance with the parking regulations. Note: Disabled Veterans (“DV” Plates) do not automatically have handicapped parking privileges. Please contact a Citation Hearing Office representative between 9AM and 3PM at 860-757-0880. I received a citation for having an expired registration. 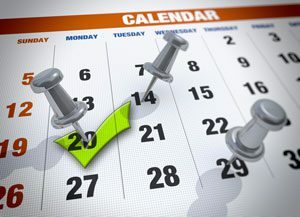 The State of Connecticut Department of Motor Vehicles (DMV) provides a thirty-day grace period for vehicle registration renewals. If you have not renewed your registration within this timeframe, your citation is valid. If you wish to appeal your citation, you (or someone on your behalf) may appear before the Hearing Officer at your scheduled hearing date, which is printed on the front of your parking citation, between 9:00 am and 3:00 pm at the City of Hartford Citation Hearing Office, 11 Asylum Street, 2nd floor, Hartford, CT 06103. I received a citation for an improperly displayed license plate. 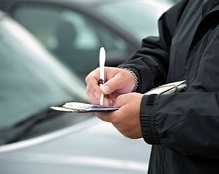 If, for example, you have no front plate, a broken plate, or displayed your plate in the vehicle window and you wish to appeal your citation, you (or someone on your behalf) may appear before the Hearing Officer on your scheduled hearing date, which is printed on the front of your parking citation, between 9:00 am and 3:00 pm at the City of Hartford Citation Hearing Office, 11 Asylum Street, 2nd floor, Hartford, CT 06103. I can’t pay the citation. I have declared bankruptcy. Under Federal Bankruptcy Statue 11 U.S., CA. Section, 523, declaring bankruptcy does not discharge any individual from paying a parking citation. If you wish to appeal your citation, you (or someone on your behalf) may appear before the Hearing Officer on your scheduled hearing date, which is printed on the front of your parking citation, between 9:00 am and 3:00 pm at the City of Hartford Citation Hearing Office, 11 Asylum Street, 2nd floor, Hartford, CT 06103. I moved my car before the snow plow or street sweeper came by, but I still received a citation. If you were parked on the street anytime during an announced parking ban for snow removal or street sweeping hours, the citation is valid. If you wish to appeal your citation, you (or someone on your behalf) may appear before the Hearing Officer on your scheduled hearing date, which is printed on the front of your parking citation, between 9:00 am and 3:00 pm at the City of Hartford Citation Hearing Office, 11 Asylum Street, 2nd floor, Hartford, CT 06103.